Question: Why would I want my company to associate with the IBEW? Answer: Value, Productivity and PROFIT. Becoming an associated electrical contractor with IBEW Local 229 offers many benefits for your company. We provide the most highly trained and productive electricians in the electrical industry for your residential, commercial and industrial needs. The scope of our membership encompasses journeyman electricians & apprentices, construction wiremen, construction electricians, tele data techs & apprentices. Our workforces of approximately 320 skilled electricians are available for your short and long term projects. IBEW Local 229 also operates a state registered apprenticeship program to ensure continued future availability of trained qualified professionals. So how does this benefit YOU and YOUR company? Your company will enjoy the flexibility of having skilled electricians when you need them, but you won’t have the burden of having to “carry” that employee or employees as projects wind down. This flexibility saves you money on labor costs, saves money on recruiting employees and you won’t waste time conducting dozens of interviews just to get a few good workers or find out later the few you have gotten aren’t as skilled as you thought. IBEW skilled craftsmen can be on your jobsite in less than 24 hours no matter if you need 1 or 50. And you can rest assured that you are getting trained professionals every time without fail. When your project is complete, you can either end their employment or you can move them to another project. I’m a smaller contractor doing commercial work and cannot afford those “union “rates! IBEW Local 229 offers multiple options when it comes to the type of electrician you need. We have numerous wage & benefit packages commensurate with the various sectors of the market. Allowing you to hire trained, skilled, productive employees that are experienced and proficient in the sector of the market you are competing in, at rates that allow you to be competitive and profitable. Whether you are a small residential contractor, a commercial contractor, an industrial contractor or you operate in all sectors of the industry we have the skilled electricians you need at competitive rates. Being competitive is all about “crew cost”. It’s about setting up the most productive crew with the most competitive cost structure. Utilizing our skills assessment examinations we classify workers according to their skills and knowledge. When you call we can then provide you with the right mixture of employees to get your job done on time, on budget and maximize profit. Your company will benefit from IBEW Local 229’s Joint Training Programs. We can provide you with fully trained workers and offer continuing education training to your current employees if needed. Each year we spend thousands of dollars on training contractor employees that come aboard with newly signed contractors. We offer training not only to our apprentices but continuing education for journeyman electricians as well. How much does your company typically spend per employee on safety training alone? $500…$1000…$2000? Our training programs serve to lower your safety related costs. IBEW 229 stresses the connection between safety and profitability. Our members put safety first every time, which means you have lower workers comp costs, less downtime and absenteeism cost!! IBEW 229 electricians are the best trained most highly skilled, productive craftsmen available anywhere. What does that mean to you? That means no “unskilled” hands on the job, which means no “rework” of work already done, which means your project comes through on-time and on-budget! Higher productivity means higher profits FOR YOU. You might say “yeah, but I already have my “moneymakers”. Every contractor has their moneymakers, those one or two employees that seem to really produce, or that pull the job out and save the profits. Imagine how much more money you would make if you had four or six of those producers. Now you have the avenue to get them, when you need them! As a contractor you most surely have your employees that serve as your jobsite supervision or foremen. How long did it take you to develop a good foreman or superintendent? How much money did it cost along the way? An added benefit of becoming an associated contractor is that we can provide good qualified supervision immediately and as often as needed. If you could add two good crews with qualified foremen over the next year, how much would that add to your bottom line profit? Additionally, you can increase your profit by using approved apprentices at a much lower rate; training while lowering your overall crew cost. Every contractor in this industry has gone into business to make money and to grow. Associating with the IBEW Local 229 can assist you in doing just that. We have looked at the benefits of having an endless resource of highly skilled professionals at your disposal: the flexibility, training, reduced safety-related costs, increased productivity, additional quality moneymakers and supervision, now let’s look at what associating with us would save you in the administration end of your business. Your company would have no benefits administration costs. The package benefit contributions for your employees are administered by IBEW 229. Your employees would enjoy excellent health care coverage, pension and annuity and you don’t have to do any of the work. Because of your association with IBEW 229, your company will see a savings on prevailing wage projects with no load paid on the fringe benefits. And finally, you will experience a lower turnover rate since most of our members do not think of this as a job, they consider this their career. 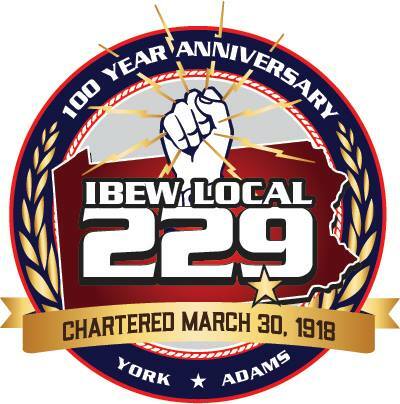 IBEW Local 229 understands that we are a service industry and we work with our affiliated contractors as a team. We know that contractors want the same things that we do, to work hard, to do a good job, and to enjoy all the benefits that working well together will afford. Associating with IBEW Local 229 does not mean you will lose control of your business, it means that you will have the additional support of many highly qualified people to assist you in growing your business and making sure you prosper, that’s what is in it for YOU! It’s Simple. Contact our office and we will do the work for you. One of our Business Representatives would be more than happy to explain everything to you… No nonsense, no pressure just honest answers to your questions and honest discussion about how associating with IBEW Local 229 can be a value added association to your business!! Just give our office a call and we will be more than happy to assist you.